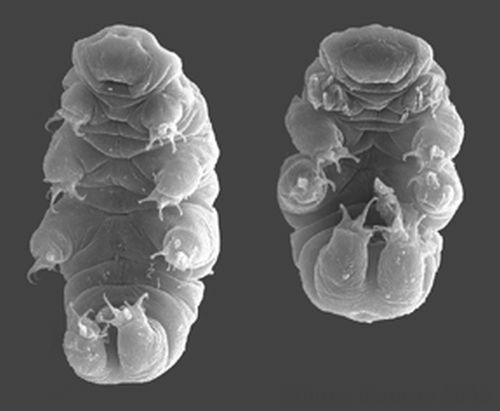 The tardigrades have long held the imagination of many a zoological specialist, since at least the late 18th century – when the micro-animal (aquatic invertebrate) was first discovered by the German pastor Johann August Ephraim Goeze in 1773. 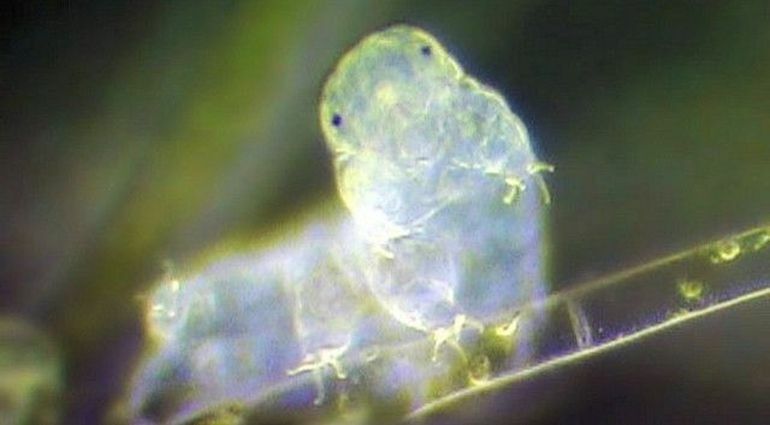 And while showcasing ‘affable’ physical characteristics like being short, pudgy and nearly translucent – with four pair of legs, the 0.5 mm long tardigrade is one of the unique organisms present in Earth, with their fascinating ability to withstand the extremes of external conditions. 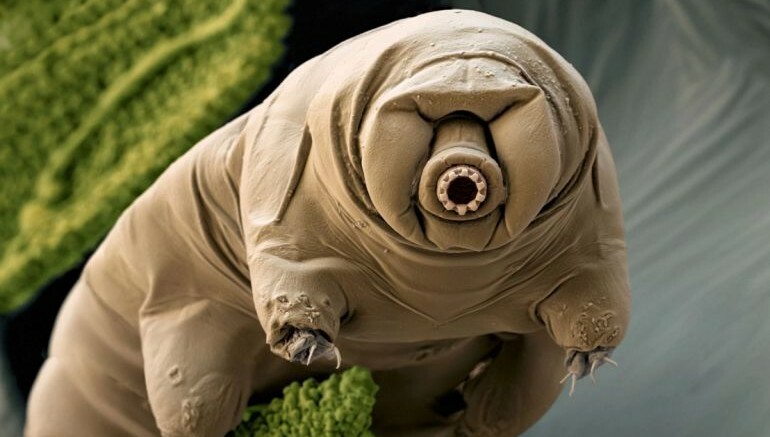 Such enduring physical attributes have allowed tardigrades to survive in varied eco-systems, ranging from 20,000 ft high Himalayan mountains to deep sea levels that are 13,000 ft below the nominal level. 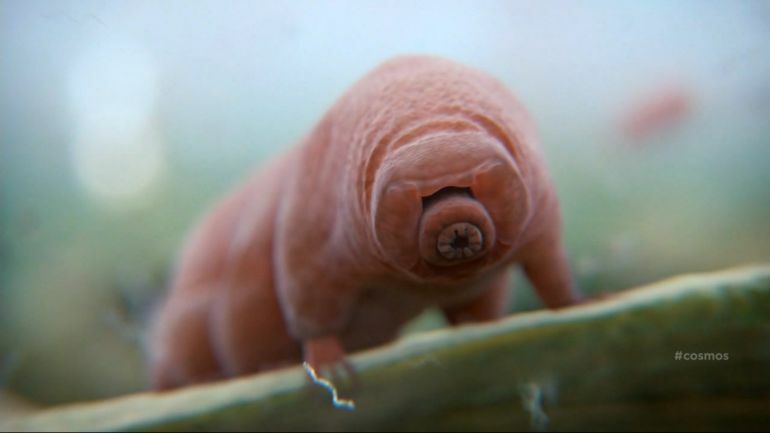 So without further ado, let us take a gander at 7 facts one should know about the tardigrades, also known as the water bears (or moss piglets). 1) Extremes of temperatures and pressure – bring it on! In terms of numbers, tardigrades have been found to survive (till a few minutes) in temperatures that went to 151 °C (304 °F). On the other end of the spectrum, some of the specimens were also found to the counter the chilled temperatures of up to −200 °C (−328 °F) for days at a end. Such rigorous capabilities are further complemented by the fact that the tardigrades can endure very high pressures, with their average capacities rounding up at around 1,200 times atmospheric pressure. However some of the tardigrade species were found to withstand pressure of 6,000 atmospheres, which is approximately 6-times the pressure found in deepest parts of our ocean, like the Mariana Trench. And if these impressive aspects were not enough, the tardigrades are also known to ride out environments that entail noxious chemicals and even boiling alcohol. According to this research, the tardigrades have the ability to withstand 1,000 times more ionizing radiation than an average human being. To that end, scientists had tested both hydrated and anhydrobiotic specimens of these micro-animals with gamma-rays (1000 – 7000 Gy) or heavy ions (1000 – 8000 Gy). In the brutal test, the researchers found that the hydrated tardigrade specimens only died (post 48 hours of radiation dosage) after being able to withstand 5000 Gy (gamma-rays) and 6200 Gy (heavy ions), while the anhydrobiotic ones endured up to 4400 Gy (gamma-rays) and 5200 Gy (heavy ions). Now for comparison’s sake, only 5 to 10 Gy of radiation could be fatal to a human. As for the scientific perspective, the reason behind this high resistance demonstrated by the micro-organisms might pertain to their capacity to achieve enhanced water reduced state. This in turn offers fewer reactants for the ionizing radiation to occur at an increased rate. 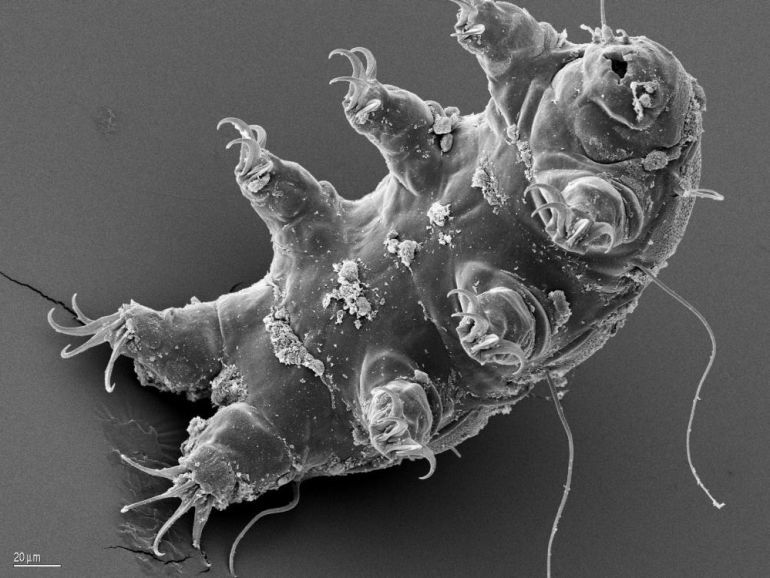 However it should also be noted that even hydrated tardigrades showcased far higher radiation resistances than other animals – though the reasoning behind this is not entirely clear to experts. No animal has survived open space before. The finding that animals survived rehydration after 10 days in open space – and then produced viable embryos as well – is really remarkable. In the previous entry, we talked about how tardigrade were found to be the first animal to survive in space. The reason behind this fascinating endurance might be related to how these micro-animals have learned to cope with the hard features present in our planet, and one of them entails the shortage of accessible water. In other words, the toughness espoused by these tiny creatures may be due to the extreme conditions present in Earth, as opposed to some alien-esque scope. To that end, on lack of water, the tardigrades do have the ability to go into a state of cryptobiosis. Simply put, they can enter a death-like dehydrated state where the tardigrade coils up into a dry, lifeless ball-like form known as a tun. During this ‘reverse’ physical transformation, their metabolism rate gets reduces to less than 0.01 percent of normal, while their water content can drop to 1-3 percent of normal! The tiny animal in its tun stage can apparently survive for decades and even longer. 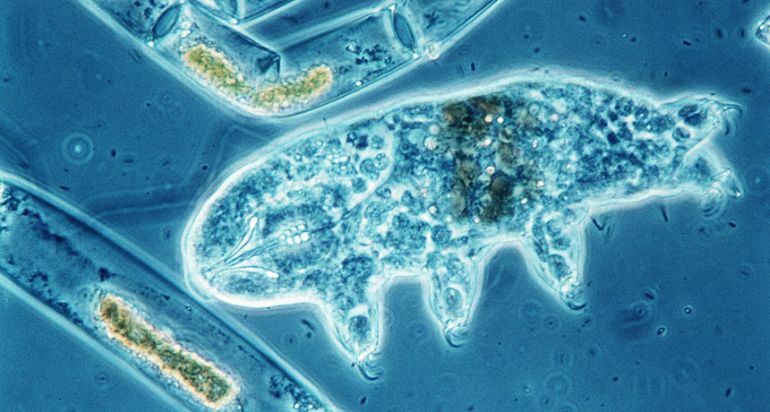 On one occasion, some experts were able to revive a batch of live tardigrades that had been preserved in a dried moss that was kept in a museum for over 100 years. And interestingly enough, such survival techniques are not just limited to adapting to water shortage. The tardigrades can also morph their bodies in accordance to other hard conditions – like stretching their form for better respiration when oxygen content drops in water, and a modified tun stage that aids them in coping with freezing temperatures. When you remove the water, they very quickly coat themselves in large amounts of glassy molecules. That’s how they stay in this state of suspended animation. We have been able to generate new glasses with new and unknown properties through this combination of experiment, theory, and computation. As part of yet another research, biologist Thomas Boothby and his team from the University of North Carolina at Chapel Hill have come one step closer to untangling the mysteries surrounding these microscopic organisms. For the first time ever, the scientists have managed to identify the tardigrade-specific genes responsible for the production of the bioglass. The genes, according to the researchers, code specific types of proteins known as intrinsically disordered proteins (IDPs), which in turn create the highly-specialized glass. Derived from the phylum Tardigrada (and superphylum Ecdysozoa), the tardigrades are denoted as an ancient group with fossils dating back to at least the Cambrian period, which was 530 million years ago. For comparison’s sake, the first dinosaurs appeared on our planet during the Triassic period, 231.4 million years ago. Now suffice it to say, the incredible survival story of the tardigrades goes beyond just having a plump physiology. In fact, in addition to their enviable endurance-oriented attributes, the tardigrades are quite wily ‘hunters’ at their scale. 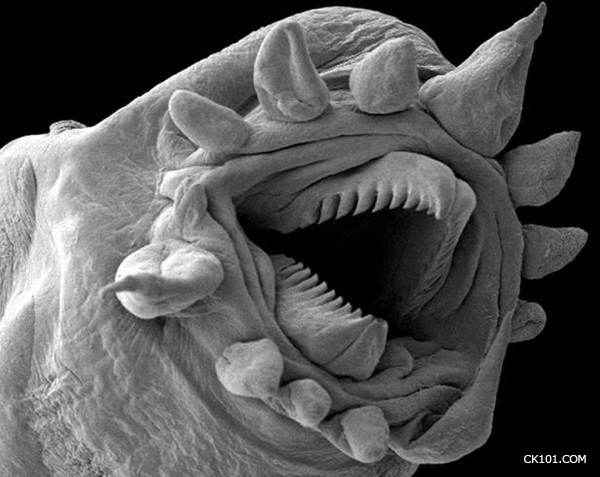 To that end, these micro-animals are armed with stylets (hard, sharp and pointy anatomical structures found in the mouth region of some invertebrates) that are used to pierce other organisms including algae, plant cells and even other smaller invertebrates. Tardigrades hunt down these sources by using a fast spearing action, as aptly showcased in the gif above. What’s more, these tiny specimens can secrete newer stylets from a pair of special glands located on either sides of their mouths. We had no idea that an animal genome could be composed of so much foreign DNA. We knew many animals acquire foreign genes, but we had no idea that it happens to this degree.